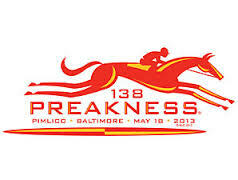 The Preakness is set to take place this coming Saturday May 18th at Pimlico Race Course in Baltimore. The Kentucky Derby winner, Orb, is favored to also win the Orb and head into the Belmont Stakes race with a chance at the Triple Crown. If this happens you can be sure that there will be a lot of extra interest and bets placed on the Belmont Stakes race. Of course Orb has to compete with Departing, Goldencents and some other strong horses to take down this big race. Here are the odds from Tuesday May 14th for the 2013 Preakness Stakes. These odds were taken from Bovada.lv, a great place for Americans to bet on horse races. The field is a bit weaker than the Kentucky Derby, with notable absences including Verrazano and Revolutionary, but that by no means its a sure win for Orb. Departing, his main challenger according to oddsmakers did not participate in the Kentucky Derby, but was able to win the Illinois Derby on April 20th with a very strong time. Goldencents, the other main challenger, was one of the favorites heading into the Kentucky Derby, but ended up finishing in a disappointing 17th position. Mylute did finish 5th at the Kentucky Derby, so he has shown the ability to compete in big races so he cannot be taken lightly. I still like Orb at 1/1 to win this race. The field was much tougher at the Kentucky Derby and the weather conditions weren’t necessarily in Orb’s favor, but he still pulled out the win. Against this weaker competition he should be able to make his move early enough to hold off the other horses down the stretch. Bovada.lv is our recommended bookie for betting on the Preakness Stakes, as well as the majority of other US horse races. Click here to sign up an account. Doing so will earn you a 50% matching bonus on your first deposit up to $250. The Preakness Stakes is the second race of the United States Triple Crown of Thoroughbred Racing. Check out our Preakness page to learn more.